Two variations of Bolero and a Shell Hat crocheted in Galaxy DK. Originally crocheted using Stardust (1713), please select an alternative. 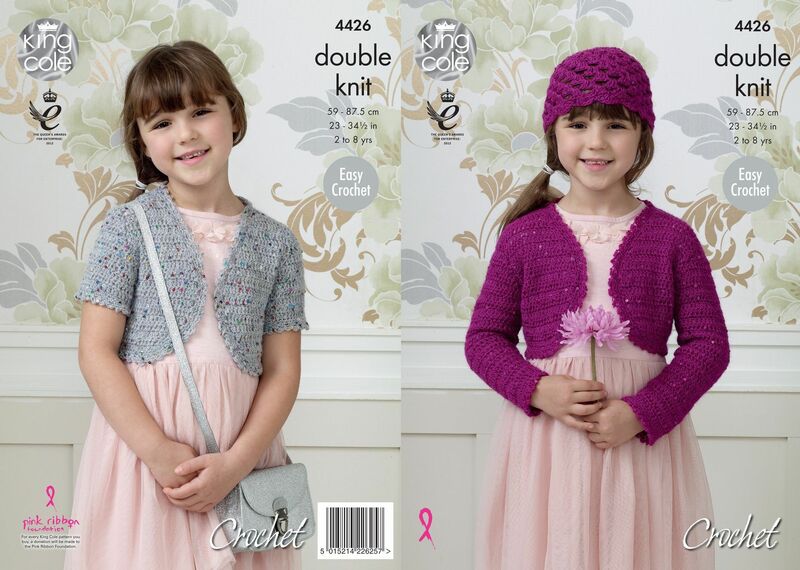 Originally crocheted in Fuchsia (687), which has been discontinued, please select an alternative.